Our specialist welding company is supervised by specialist welders who have passed examinations and been tested themselves. 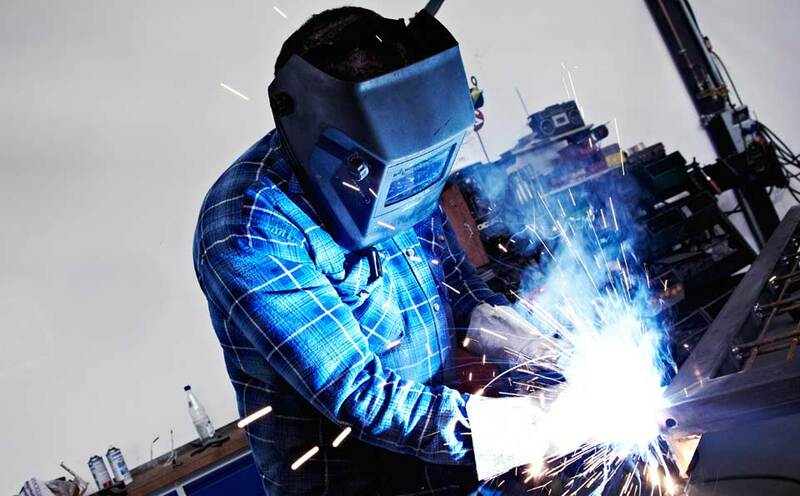 In addition, our specialist welders are tested annually by certified inspection bodies. Specialist welding businessess in all classes are obliged to set up an in-house production inspection system and to keep up-to-date records. This ensures that welded structures or components meet the properties required of them. DIN EN 1090-1 requires a specialist welding facility to have a certificate covering in-house production inspection and a welding certificate issued after an initial test (initial monitoring) by a recognised agency. The specialist welding operation is subject to regular monitoring by means of in-house production inspections. Monitoring interval: maximum 3 years. The EXC 2 class covers all structures that are not cited in the EXC 1 and EXC 3 classes and are unrelated to the EXC 4 class. It embraces components which are mainly stationary or mainly stressed to fatigue, as well as steel materials with elastic limits < 700 MPa.